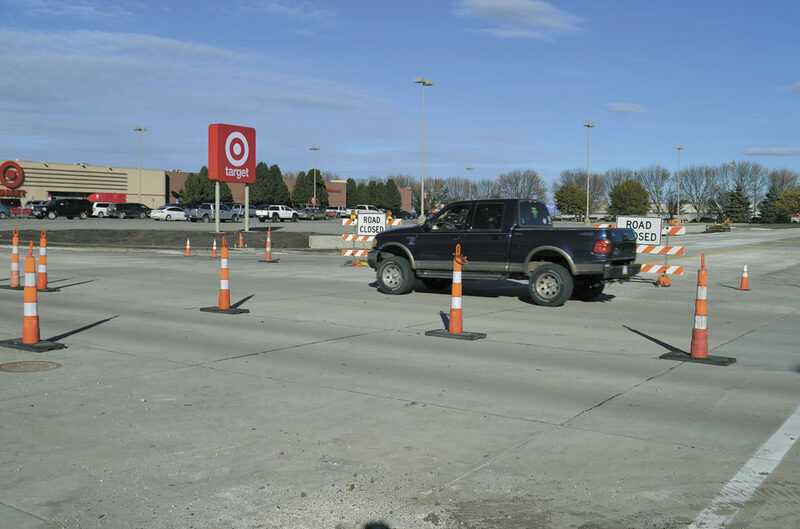 Many of these barricades and road cones at the intersection of First Avenue South and 29th Street will be removed today when much of the intersection will be reopened. A pickup truck travels through the intersection of First Avenue South and 29th Street recently. There will be more vehicles going through the intersection after most of it reopens today. 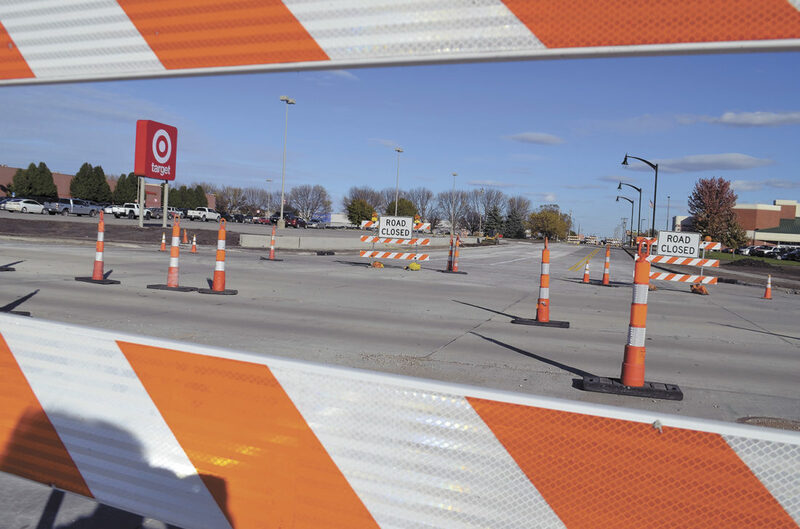 The intersection of First Avenue South and 29th Street in Fort Dodge will be mostly opened to traffic sometime today. Vehicles will be able to use all four sides of the intersection for the first time since April even though the reconstruction project there isn’t completely done. The intersection will not be fully open, however. Trotter said the left-turn lanes and the lanes for traffic going straight ahead will be open, but the right-turn lanes will remain closed. He said keeping those lanes closed will prevent too many vehicles from getting into the intersection at the same time. Traffic will be controlled at the intersection by four-way stop signs. Trotter said that the partially opened intersection should function much like the one at Second Avenue North and 22nd Street. Putting up traffic signals is the last thing that must be done to complete the reconstruction of the intersection. But an unanticipated delay in getting the steel poles the traffic signals will be mounted on has prevented contractors from finishing the job. 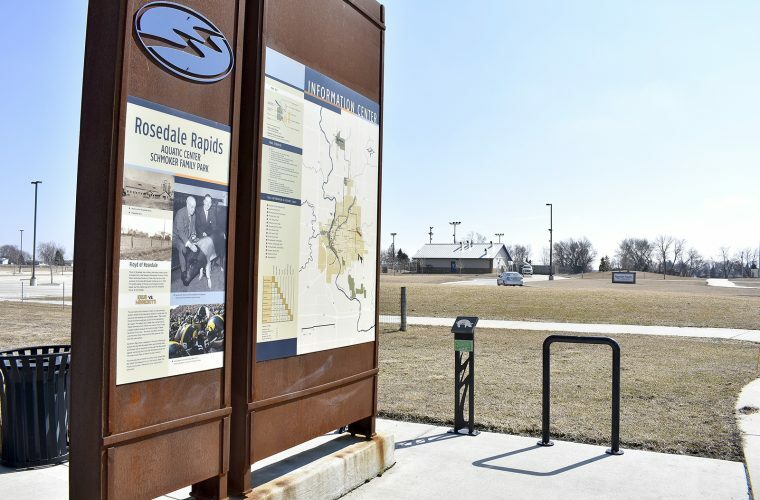 The poles were supposed to be delivered to Fort Dodge in mid-August. Those poles are to be supplied by Millerbernd Manufacturing, of Winstead, Minnesota. 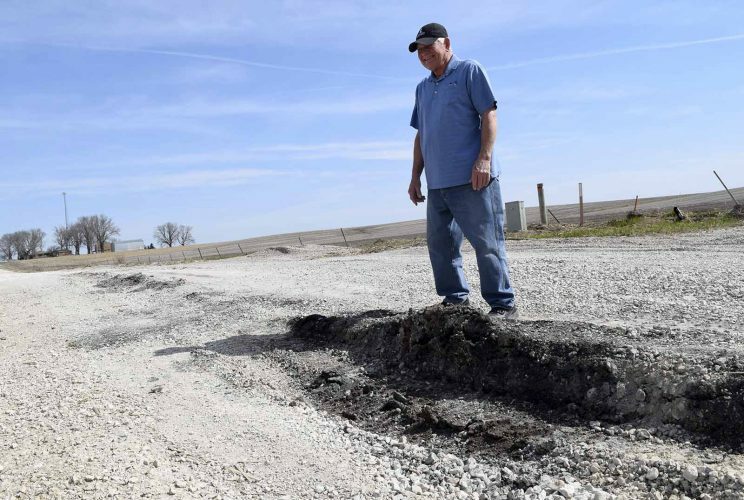 However, that company has reported delays in delivering steel poles because it has taken on an additional workload after another company, Union Metal, went out of business. Trotter said once the poles are delivered, it will take four days to install the traffic lights. That busy intersection was rebuilt as part of a larger project to improve drainage on the city’s east side. It was reconfigured to provide a left-turn lane, a lane for traffic going straight ahead, and a right-turn lane on each side of the intersection. An 8-inch-diameter water main and storm sewers ranging in size from 18-inches to 54-inches were also installed.